The EPO-TBI and POLAR trials present a unique opportunity to investigate the effect of potentially renoprotective therapies (EPO and hypothermia) on kidney function in TBI patients, and the ability of several novel biomarkers, including NGAL and cystatin C to detect kidney injury and response to treatment. 4 Ostermann M, Chang RWS. 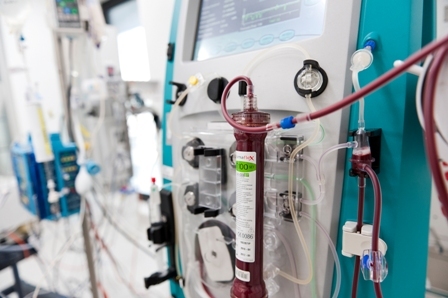 Acute kidney injury in the intensive care unit according to RIFLE. Crit Care Med 2007; 35:1837-1843Study Progress: Recruitment for the EPO-TBI trial commenced in May 2010 and is now complete; recruitment for the POLAR trial is over halfway to completion. Results for the Renal substudy of EPO-TBI will be published after those of the EPO-TBI trial late in 2015. Collaboration: The Renal Substudies of EPO-TBI and POLAR will be conducted in collaboration with the ANZICS Clinical Trials Group (ANZICS-CTG) EPO-TBI and POLAR Investigators. Approval: The Renal Substudies of EPO-TBI and POLAR have been endorsed by the ANZICS Clinical Trials Group (CTG) and approved by the ANZIC Research Centre Board and the EPO-TBI and POLAR Management Committees.Contact: For further information about this project, please contact Elizabeth Moore at the ANZIC-RC by email.